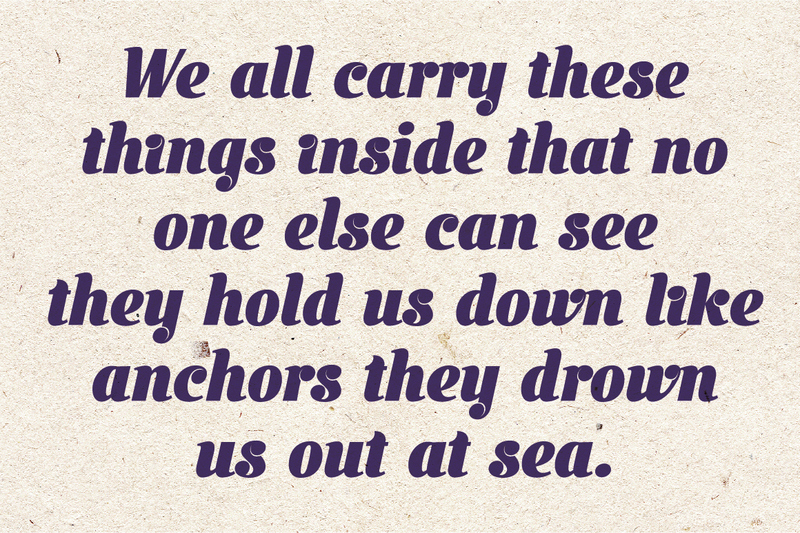 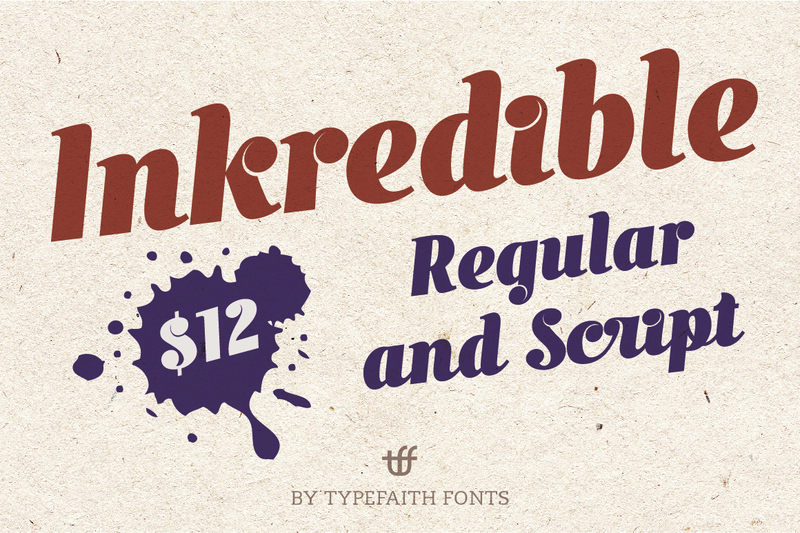 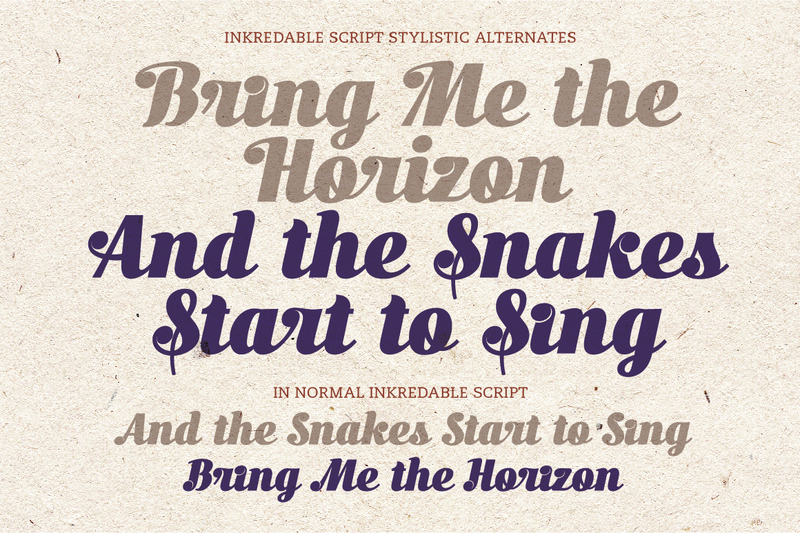 Inkredible One and Script by TypeFaith Fonts is a lovely display font. 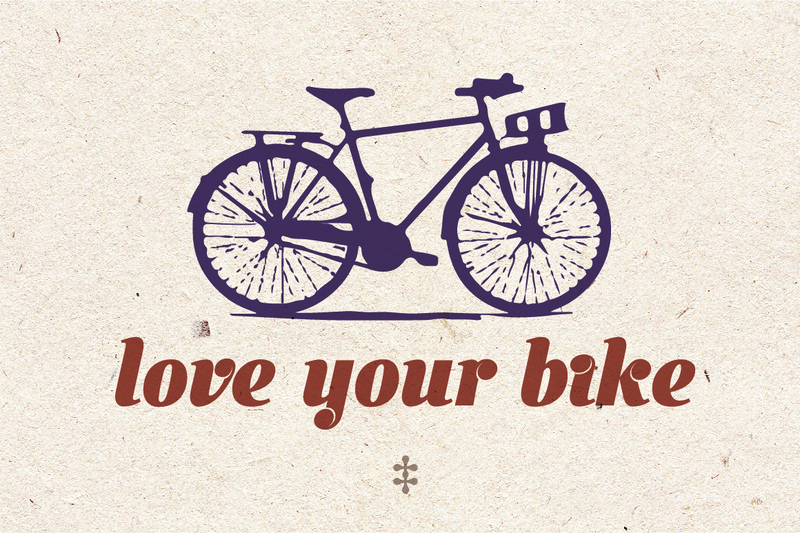 It is a characteristic font with a retro feel. 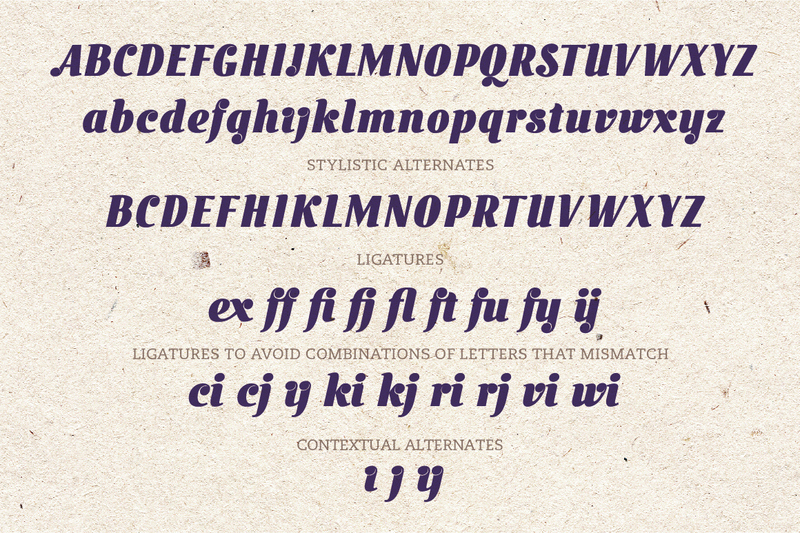 The font contains ligatures, alternatives, and some special characters. 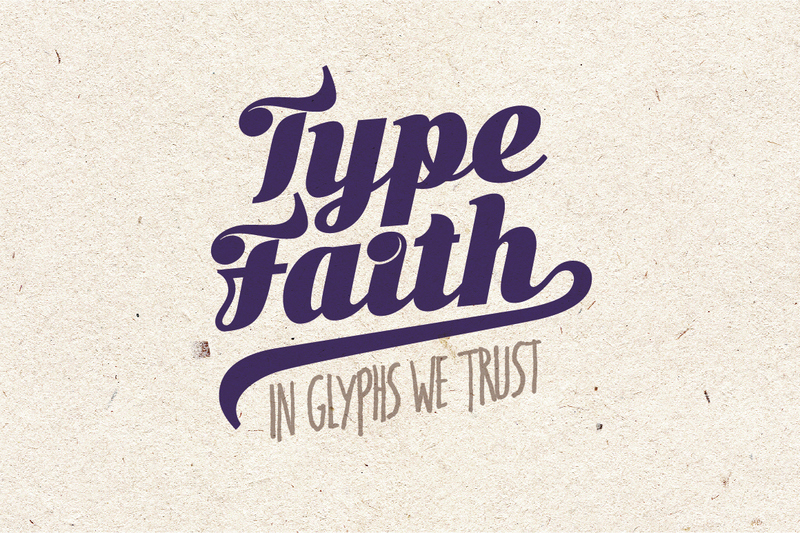 The OpenType layout features can be used to position or substitute glyphs.